Garlic skins have always been my least favourite part of peeling garlic. They either stick to my fingers, or float about the kitchen, carried by slight breezes before making their home on random appliances. But I resent them no more, my dears, because it turns out they make a kick-arse broth. I've long been saving onion peels for stock, and I don't know why I haven't been doing the same with garlic. Besides the very outer part of the peel (the part covered in dirt) every single wispy little piece of skin should be treasured, and then added to the stock pot, where it will do wonderful things. Compost the really dirty stuff. 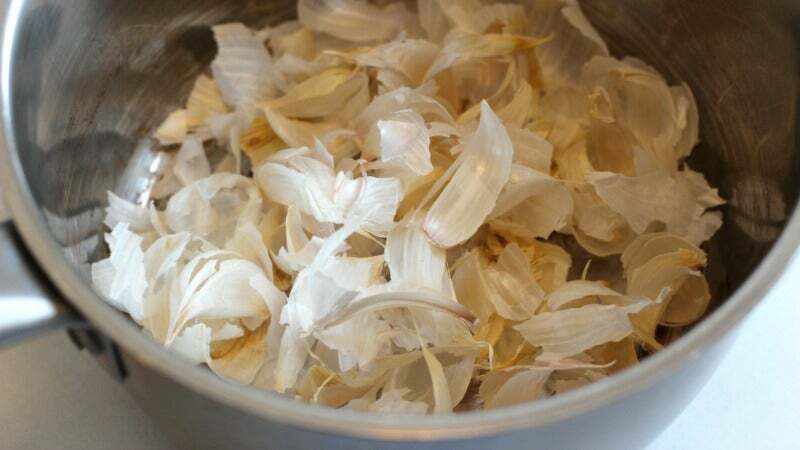 Though I had read about adding garlic skins to stock before, I was initially sceptical that they would do that much, flavour-wise, so I gathered up a bunch of them (about a bulb's-worth), and added them to a pot with a couple of cups of water. After only 10 minutes of simmering, my kitchen became infused with the faint, earthy and pungent aroma of garlic. After 15 — and after straining out the peels — I had a golden, fragrant liquid that tasted decidedly garlicky, and quite delicious. 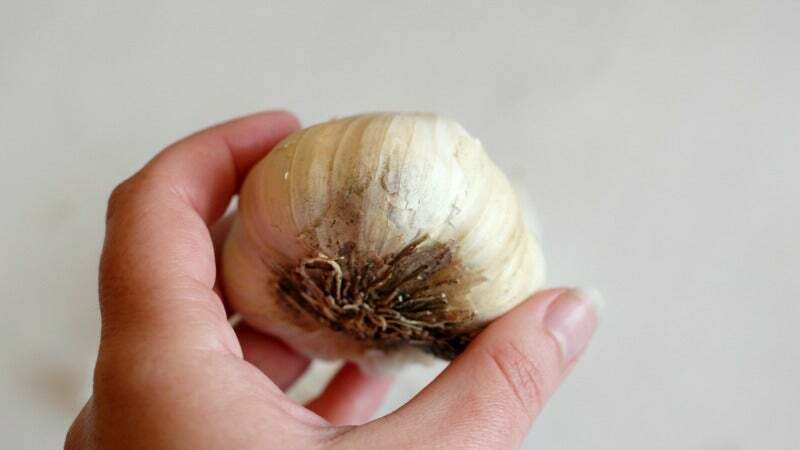 Obviously, you should be saving garlic skins in your "stock bag", along with all the other wonderful vegetable scraps you hoard for such a purpose, but don't dismiss the idea of a pure, garlic-skin-only broth. 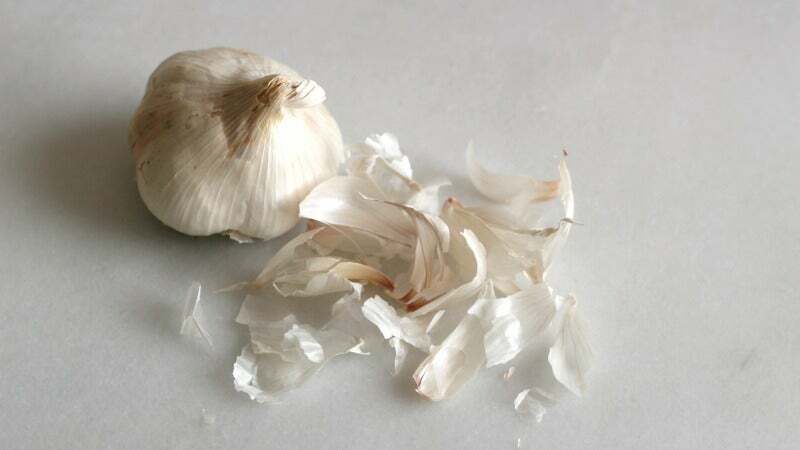 This stuff is mad flavorful, takes a quarter of an hour to make, and can be used to impart the goodness of garlic into a whole myriad of dishes. 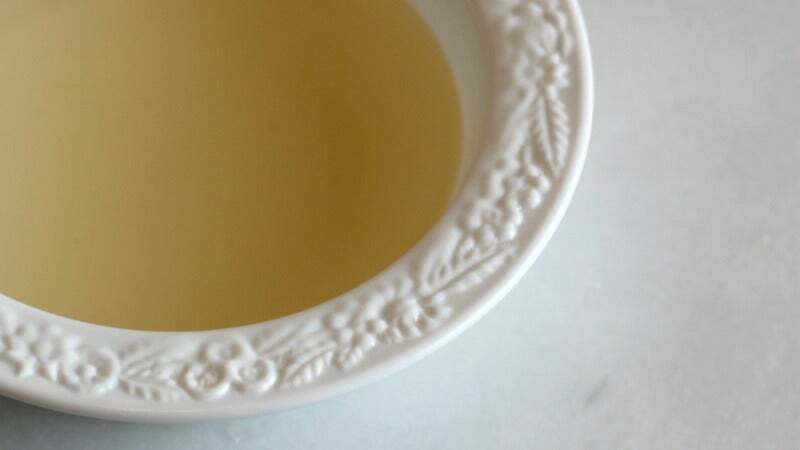 Use it in the place of water when you make your rice, stir it into gravies and sauces, or — heck — sip on it if you have a cold. Just don't toss your garlic skins away; they have so much to give.